Safe and Reliable Batteries & Chargers for Every Season! For ATV's, sights, decoys, GPS's and more! AEDs, Hearing Aids, and More! 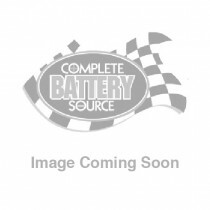 Complete Battery Source is your one-stop shop for all of your battery needs. With more than 5,000 batteries available and seven convenient locations throughout Michigan serving clients all over the nation, our experts can help you find the right battery. After over 25 years of operation, the answer is still, "Yep, Got That!' Our expertise in batteries and charging not only allows us to offer the best selection of batteries nationwide, but also to provide the most knowledgeable battery-related customer service. If you've got a battery-powered machine, tool, toy, or gadget, Complete Battery Source can help you keep it running at full capacity with our expertise and high-quality batteries. If you can't find the battery or charger you need in our online store, contact us online or call us toll free at 877-ALL-BATS (877-255-2287) between 9:00 am and 6:00 pm Monday - Friday, and 10:00 am and 4:00 pm Saturday. How do you pick the right kind of jump starter? Well, the kind of battery the vehicle uses is a good place to start. Here's why choosing the right one can go a long way.